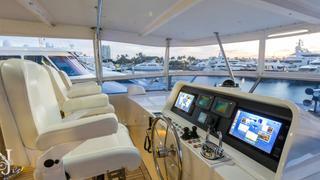 The 92-foot (28.04m) luxury motor yacht ENDLESS SUMMER was designed for long-range cruising allowing its owners to have an endless summer. 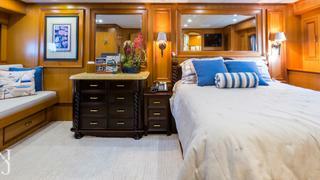 The luxury yacht’s timeless interior provides voluminous space and a comfortable on-board atmosphere blending stunning wood with new light-colored soft goods. 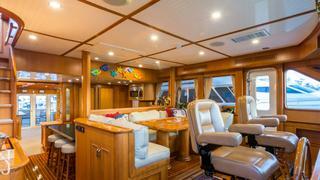 Her main salon showcases ample seating and a bar making it an ideal space for gathering. 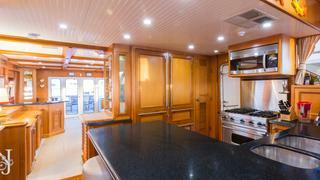 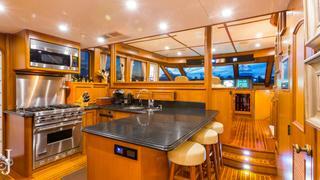 ENDLESS SUMMER features a large country style galley that is perfect for prepping food and entertaining. 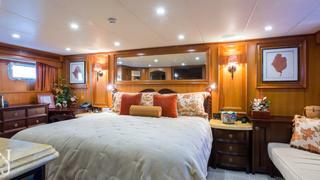 Accommodating eight guests in three sumptuous staterooms, ENDLESS SUMMER provides a haven for guests to lay their heads. 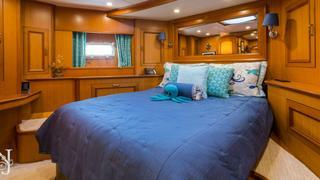 Showcasing its own private stairway, the full-beam master stateroom is a private oasis complete with a king-size bed and lavish en-suite bath. 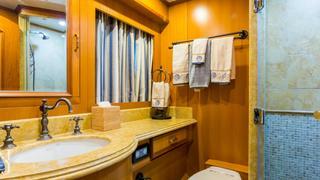 Her additional staterooms feature queen-size beds with en-suite baths. 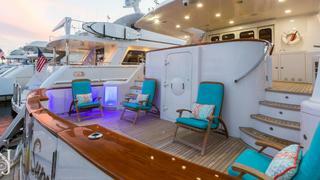 Offering guests multiple areas for entertaining and relaxing, ENDLESS SUMMER showcases expansive outdoor living areas. 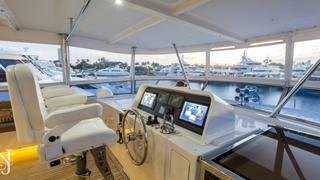 The luxury yacht’s spacious cockpit allows days to be spent enjoying water toys, fishing or diving. 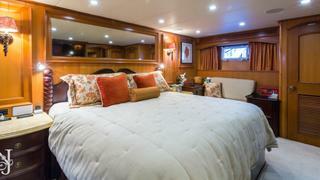 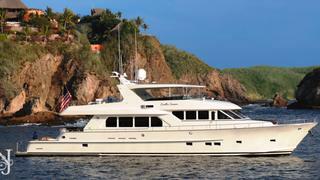 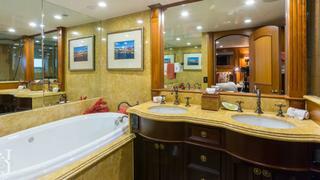 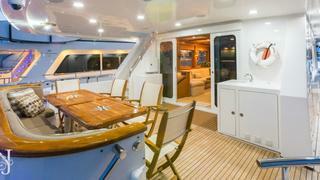 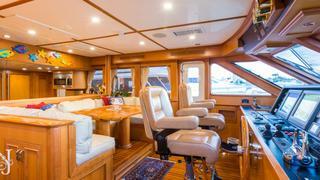 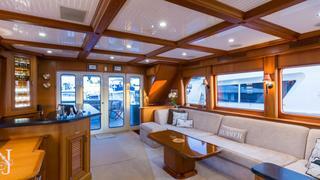 While her flybridge allows for sitting back and unwinding as well as soaking in the Jacuzzi. 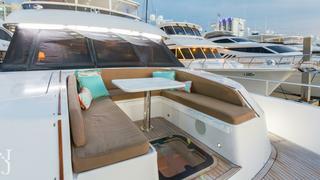 When an appetite has been worked up, alfresco dining can be found on the aft deck and flybridge. 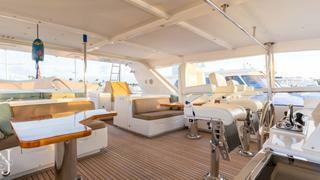 The yacht received a major refit during which the stabilization system was upgraded as well as electronics and power generation. 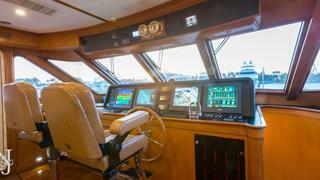 Also, in 2017, the factory “zero hour” service was completed on the main engines.